SURENDRA Singh, a mathematics post-graduate from Allahabad University, had made up his mind to join the civil services early in his life. India had won her independence only about six years before he went to the university. The ability to contribute to nation building of the newly independent country drew him to this decision. Other options, like joining the corporate sector, did not appeal to him. Moreover, his father Sumer Singh, an engineer educated at Thomson College of Civil Engineering (now Indian Institute of Technology, Roorkie), knew what the IAS stood for and was in favour of him trying for the elite service. “All of us in the family agreed that I should try to join the civil service,” the 1959-batch Uttar Pradesh cadre IAS, who in August 1994 rose to be the Cabinet Secretary, the highest administrative post in the country, recollects. 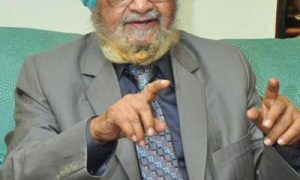 Singh cleared civil services examination in 1959 with mathematics and British history and British constitutional history as his main subjects. On May 11, 1959, he joined the IAS Training School, Metcalfe House, Delhi, as a probationer. Three months later, the Lal Bahadur Shastri National Academy of Administration (LBSNAA) was set up at Mussoorie and he moved there along with the rest of his batch. A year later, nine of them-eight from UP cadre and one from Delhi-Himachal Pradesh cadre-were introduced to the then State Chief Minister, Dr Sampurnanand, in Lucknow. On May 1960, he was asked to report to LM Bhatia, the then District Magistrate of Varanasi, as an Assistant Magistrate. For the next five months, he was an understudy to different officers, learning about revenue, law, development and other important subjects. Civil services, in those days, was a crème de la crème job and an IAS officer carried a lot of authority and responsibility. Even Sub-Divisional Magistrates (SDMs) would be accorded great respect in their subdivisions. So much so that an orderly wearing a turban and brass plates across his chest would precede him to announce to the public, “Hakim pargana aa rahe hain” (The subdivision administrator is coming). During his Varanasi stint, Singh drew a salary of Rs 275 per month. He first put up with a relative and was later allotted a room in the Circuit House. But, since he was a bachelor and had very limited expenditure heads, he managed with it. After the mid-1960s, when inflation surged, it became difficult even for IAS officers like him to make two ends meet. One of the first things Singh noticed in Varanasi was that the collectorate budget had a provision for feeding milk to cats in the record room. The record room in those days, he reminisces, would store bags full of papers and had a pan for storing milk for the cat. “The cat kept mice away from damaging records,” he recollects explaining the practical reason behind the exercise. SINGH spent his next six months in an Officers Training Institute in Allahabad to learn about administration in the State. He was then posted in Gorakhpur as a Joint Magistrate. He adjudicated on both revenue and criminal matters as judiciary had not separated by then and the District Magistrates and their sub-magistrates were required to hold courts for the benefit of the public. Singh remembers the District Magistrate, AR Siddiqui, as a “very affectionate and strict” officer. Once Siddiqui asked him to inspect a police station and report back to him. He visited the police station and wrote a report but Siddiqui was not satisfied. “He looked at my report for two-three minutes and then threw it out of the window. It happened twice,” he recalls. Disappointed with his reports, Siddiqui decided to inspect the police station himself with Singh in tow. “We went together. It was an excellent lesson for me in the intricacies of police administration at the police station level,” he recollects. Within a month or two, he was made SDM of Pharenda (headquarter at Anandnagar), a flood-prone subdivision which would be waterlogged for several months during the year due to flow of additional water from Nepal. Singh and his staff would deliver help-salt, cooking oil, medicines, matchboxes, drinking water and rations-to the hundreds of marooned villages in boats. He witnessed a couple of floods there and was then transferred to Allahabad as Additional District Magistrate (Planning). His focus there was on community development. After the Chinese aggression in 1962, he was posted with the Cabinet Secretariat for two years. In 1967, Singh came to the Centre on deputation and spent three years as Deputy Secretary in the Ministry of Commerce. 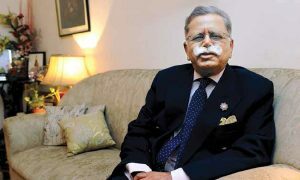 He spent the next decade partly in the Indian High Commission in London, where he was designated Economic Counsellor, and partly in Uttar Pradesh, his home cadre. In 1991, when PV Narasimha Rao government launched the biggest wave of economic liberalisation, he was Special Secretary to the Prime Minister of India, responsible for all economic work in the latter’s office. Later, he became Secretary in the Ministry of Industry and Department of Company Affairs. He remembers late Rao as an intellectual PM who would listen to everybody and take a decision only after considering all relevant factors. “Rao was not an impulsive decision-maker,” he recollects, calling his relationship with the then PM as “smooth” and “easy”. He points out that there were some naysayers within the government on liberalisation. “Some of them had the feeling that it would affect Indian industry very adversely and lead to large scale closures,” he recalls. He attributes economic liberalisation to Rao, saying that the latter’s political support to his Finance Minister, Manmohan Singh, enabled major economic reforms. WHEN Atal Behari Vajpayee was the Prime Minister from May 16 to June 1, 1996, Singh was still the Cabinet Secretary. 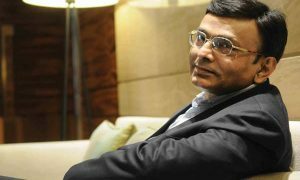 He lauds Vajpayee for being an ‘extremely good prime minister’. 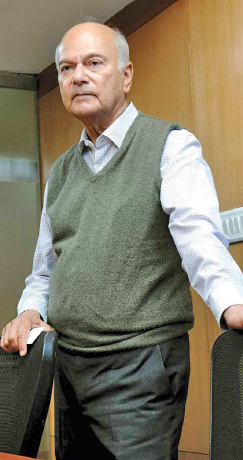 Singh retired from the IAS on August 1, 1996, after serving the government for over 37 years. 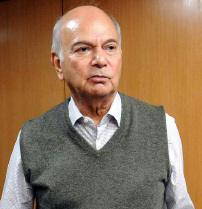 After retirement, he served as Executive Director in the World Bank, representing Bangladesh, Sri Lanka and Bhutan besides India for three years. Even at the age of 79, Singh serves as Honorary Adviser in Observer Research Foundation (ORF), a public policy think-tank and has been on various advisory and consultative assignments with the government and the private sector. Singh exhibits no signs of tiredness and would prefer to quit the second innings with his boots on.